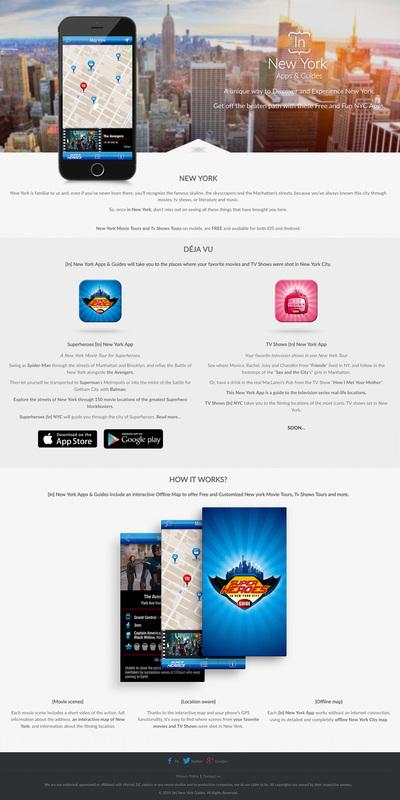 In New York Guides needed a website and a flyer for their new mobile app launch. We suggested two different concepts to test with their two audiences: adolescents and families. For this brochure, we have chosen to use a warm colour palette to evoke the streets of New York, to contrast with the second proposal : project.